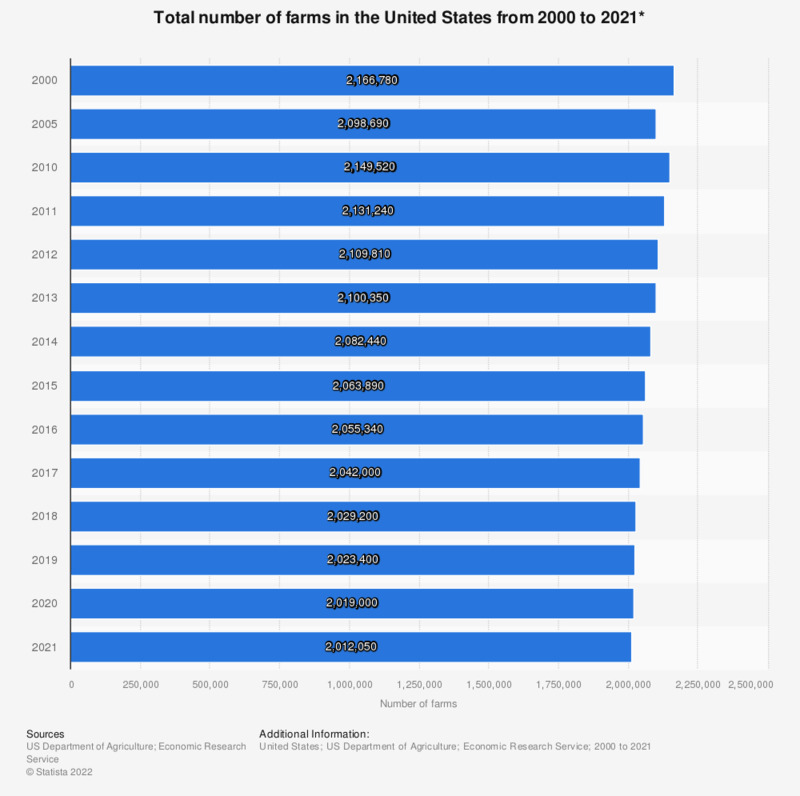 This statistic shows the total number of farms in the United States from 2000 to 2017. In 2000, there were more than 2.16 million farms in the United States. In 2016, the amount of farms in the U.S. decreased to 2,060,000 . * The farm definition was changed in 1993 to include maple syrup, short rotation woody crops, and places with 5 or more horses. A farm is any establishment from which $1,000 or more of agricultural products were sold or would normally be sold during the year. Includes some accounting for individual farms on reservation land in Arizona and New Mexico from 1998 forward. Everything On "U.S. agriculture" in One Document: Edited and Divided into Handy Chapters. Including Detailed References.